Start by ensuring that staff and faculty are informed, at least annually. • Be sure all staff in each department understand that pregnancy discrimination is illegal, and your school is in compliance with the law. • During orientation of all new hires include information about policies and practices in support of pregnant and parenting students and staff. Let new faculty and staff know where to go if they need assistance. • Mention at periodic staff trainings that you support students who are pregnant and parenting. Tell them they can find a directory of services online, and that help is available for pregnant women, birthmothers, expectant fathers, and parents. • Send a link to FFL’s Women Deserve Better to all counselors and advisors. • Athletic coaches should understand and comply with NCAA regulations. • Residential advisors (RAs) need to know every department that can assist pregnant and parenting students. • Make sure your faculty and staff know that the college or university is in compliance with the Family and Medical Leave Act, starting with maternity and paternity leave policies, and supports faculty and staff through [list available resources such as on-campus childcare, etc.]. 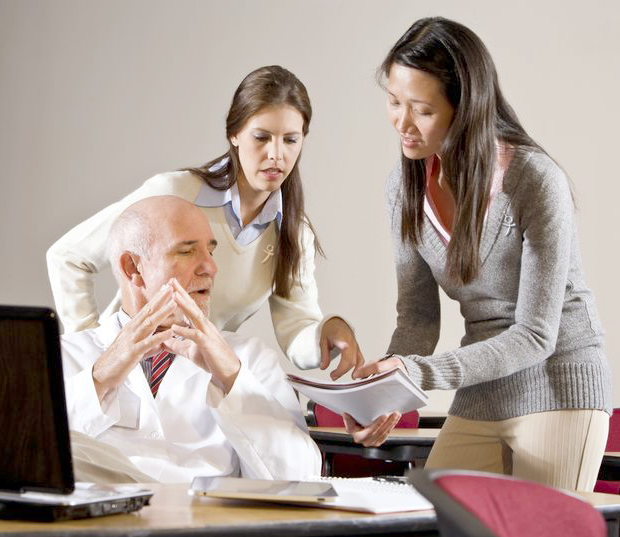 You may evaluate your faculty and staff policies using FFL’s Workplace Evaluation. • Keep the revolution alive on your campus. Make your FFL Pregnancy Resource Forum an annual event. Contact coordinator@feministsforlife.org for more information. Educate your students-both undergraduate and graduate students. • Begin by posting at least one page on your website concerning education for pregnant and parenting students. • Include information or links about pregnant and parenting services on all websites for the health center, financial aid, residential life and housing, etc. • Use FFL’s model policies and practices as a basis for your school’s website. • Include all policies and practices in student handbooks. • Educate your students about services for pregnant and parenting services during first year orientation. Tell them they can find services by searching for “pregnancy” or “parenting” on the school website, or by going to health or counseling services. Financial aid, residential life, academic advisors, chaplains, athletic coaches, and others can all help. • Make it easy for prospective students who are parenting to learn about available services on your campus. • Promote education year-round. For example, health services can advertise “free pregnancy tests” with a web address on the back of bathroom stall doors. • Invite students to your annual FFL Pregnancy Resource Forum, especially pregnant women, expectant fathers, birthmothers, and student parents. • Model for Student Handbook/Website—which can also be used as a handout for Health Services to distribute when students learn they are pregnant. • Educate students that they will not be expelled from school. • There is unconditional support for pregnant women, birthmothers, and parents. • Provide a list of departments with support on campus. • Provide a list of off-campus help (Legal Aid, OB/GYNs, Medicaid, etc.). • Pregnant and parenting students and staff, birthmothers, families, counselors, and advisors will appreciate FFL’s national resource guide Women Deserve Better. It is filled with free and frugal resources, creative and smart solutions, and links to support for families at all stages. • Pregnancy Assistance Fund: Inspired by FFL’s revolutionary work for pregnant students, the fund allows states to apply for matching funds to help pregnant students in 2010, 2013, and 2016. For more information, read about the fund at the Department of Health and Human Services’ Office of Adolescent Health: http://www.hhs.gov/ash/oah/. For more information, or to book FFL speakers and moderators, contact coordinator@ffloncampus.org. Join our email list for updates, and our discussion on Facebook and Twitter.